The Power of Sandblasting in Your Hand! Remove Rust, Paint, Coatings, Sealers, etc. ~ Within a1/4″ of the Wall. M5-1C Scarifier, complete with two (2) bundles of Carbide Cutters. Expected carbide cutter life on concrete is 5 times longer than the harden steel cutters. While they can be used on steel they maybe a bit too aggressive. 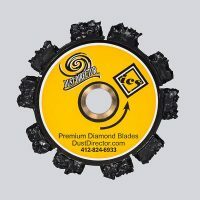 Replaceable cutter blades, for use on concrete, steel, iron and asphalt surfaces. 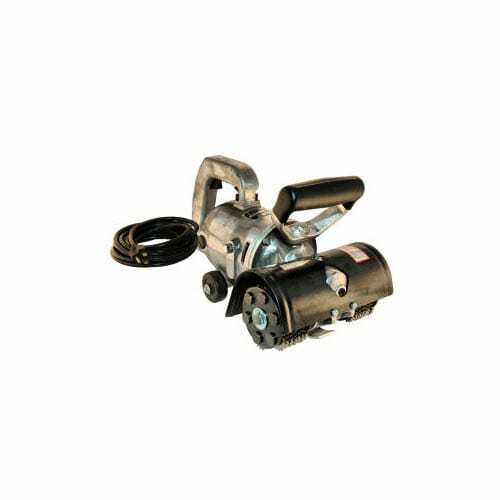 Specifications: 120 Volt, 6.9 Amp, 1/2 HP, 2000 rpm, 21 lbs., 8″ wide scarifying path – removal rate of 70-100 sq. ft per hour, 2 teeth bundle (6 rows of teeth per bundle). 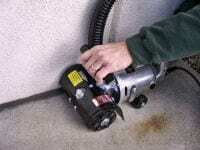 A versatile, easy to use, heavy-duty tool for removing paint, rust, & adhesives from concrete, asphalt & steel. Time, money and work saving tool that literally peels off almost any type of accumulation from any type of hard surface. Compact, Heavy-Duty, Powerful, Portable – Versatile. Used wherever iron, steel, brick or concrete needs to be prepped prior to painting or refinishing or where graffiti or unwanted paint needs to be removed. Patented Harden Teeth Bites through Tough Accumulations on Hard Surface. Decks, walls, ship hulls, tanks, pipelines, boilers, etc. 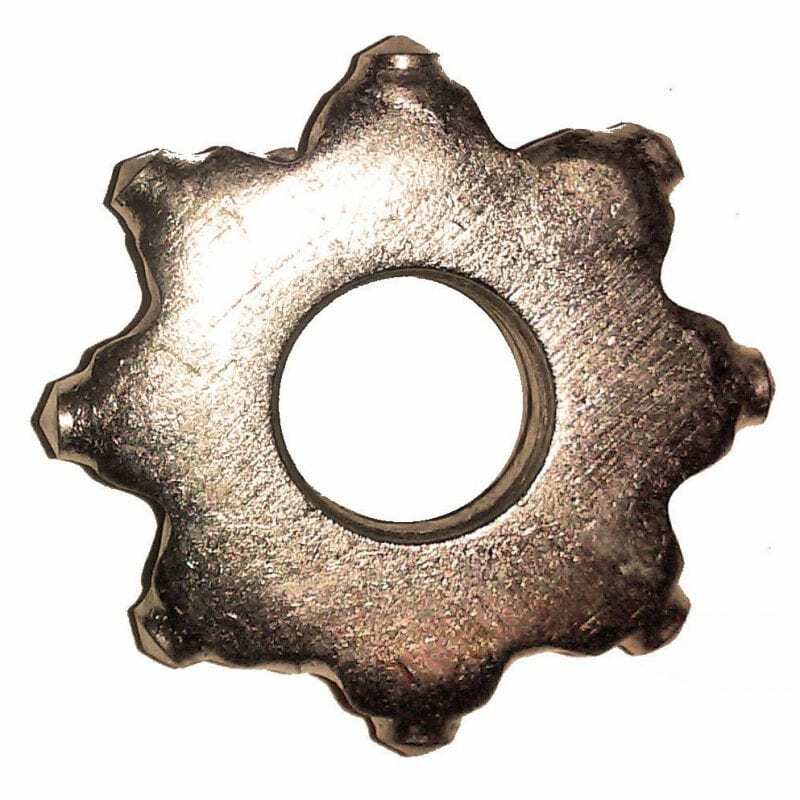 Results like sandblasting are yours from a small, lightweight tool. Powerful, harden-steel teeth quickly peel off build-up. 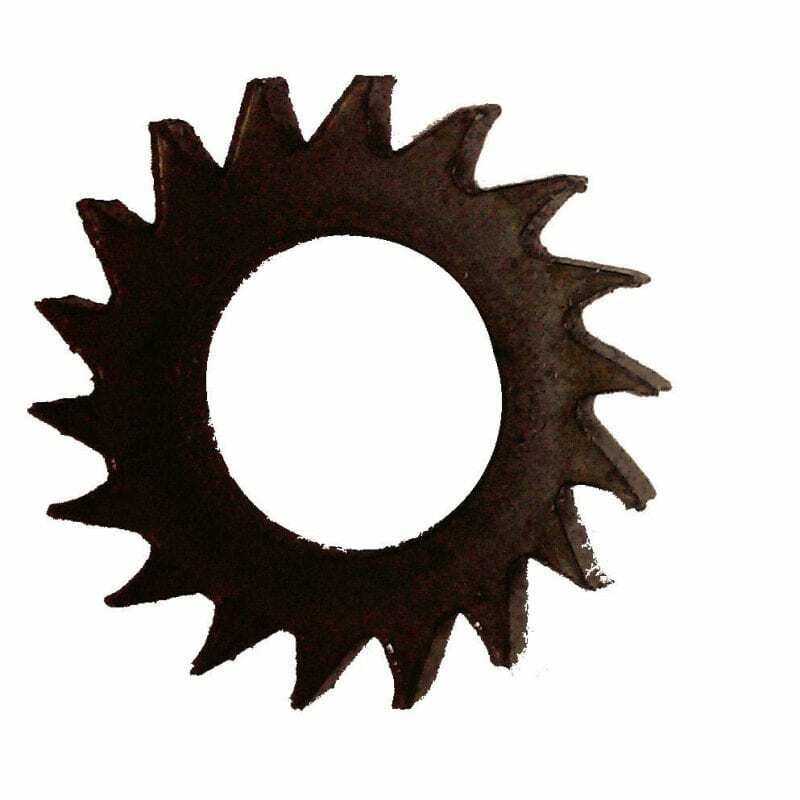 & prevents overloading, stalling and excessive cutter wear. A Tough-Guy Tool . . .
SANDBLASTING – Without the Sand . . . 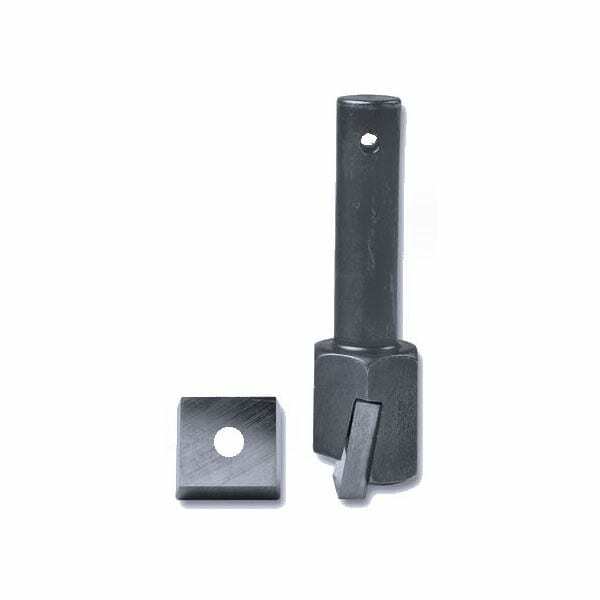 The harden steel cutter will scarify anything over concrete, steel, iron or asphalt – including rubber and foam carpet backing, acrylics, hard urethanes & glue ~ to within 1/4″ of the wall. The M5-1 tools will not work on tar or soft adhesives. The scarified concrete will be equivalent to a 4 or 5 Coarse Grit (which is impossible to achieve with any type of diamond or abrasive cup wheel). Don’t Just Scratch the Surface . . .